George Groves is set to take on Jamie Cox at the Wembley Arena in London on Saturday, 14th October 2017 as he defend his WBA Super Middleweight title. Jamie Cox is little known British fighter who is making his way up the middleweight ladded slowly but surely, unbeaten so far, Cox will present a tough test to Groves who is hoping to win this fight and setup a all british affair against Chris Eubank Jr in the semifinals of “World Box Super Series” The fight will be broadcasted live on ITV Box office in the UK. Groves vs Cox TV Coverage: Just like Chris Eubank Jr’s fight couple of weeks ago, Groves vs Cox will also be broadcasted live on ITV Box Office priced at around £9.95. The coverage begins early in the evening with many undercard fights of which first 3 will be on ITV regular channels and coverage goes to encryption at around 07:00 pm uk time and available to only PPV buyers. There are so many fights on the undercard mainly British boxers and below is the entire night schedule. Coverage Starts It will be another ITV Box Office presentation in the UK and coverage will begin as early as 6:00 p.m uk time with so many undercard fights scheduled on the night. TV Channel ITV Box Office priced at £9.95. George Groves won the WBA Super Middleweight world title after beating Fedor Chudinov back in May 2017. It was his fourth attempt at the world title and he finally got his hands on much deserved world title after getting beaten by Froch (twice) and Badou Jack in three earlier attempts. George Groves will be fighting in his hometown London and will be slightly favourite to win this fight on Saturday however Jamie Cox is no pushover who is unbeaten however Groves will be his first high profile fight. 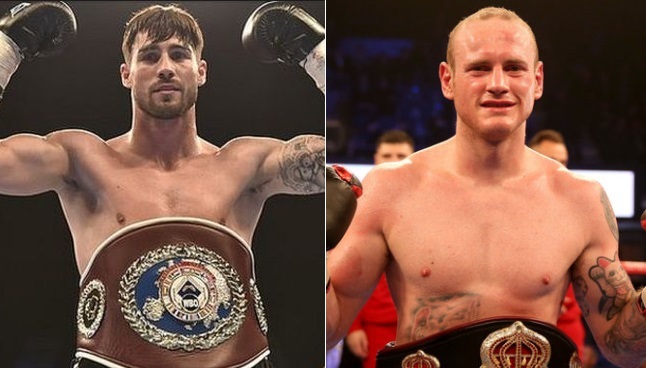 Its all setup for a major night in british boxing and a win for Groves will setup a mouth watering all british world title fight between Chris Eubank Jr and Groves possible in early 2018.